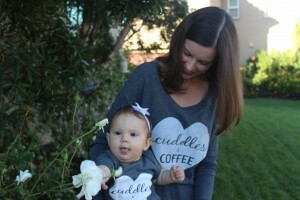 Over the weekend Baby B and myself went to a local crafters market called, Made Market SD . It was super cute with lots of fashionable items for little ones. 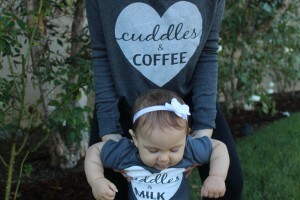 I even got the baby and Daddy matching snapbacks. 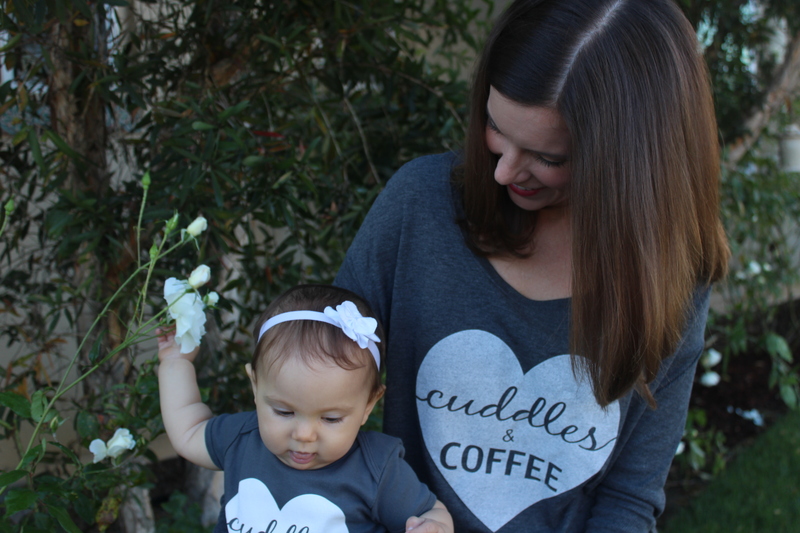 For me it was all about the cutest #twinning tee’s from Everly_B. 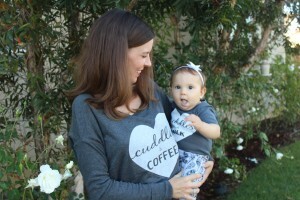 Check out how Baby B and I kicked off this Monday in twinning style! 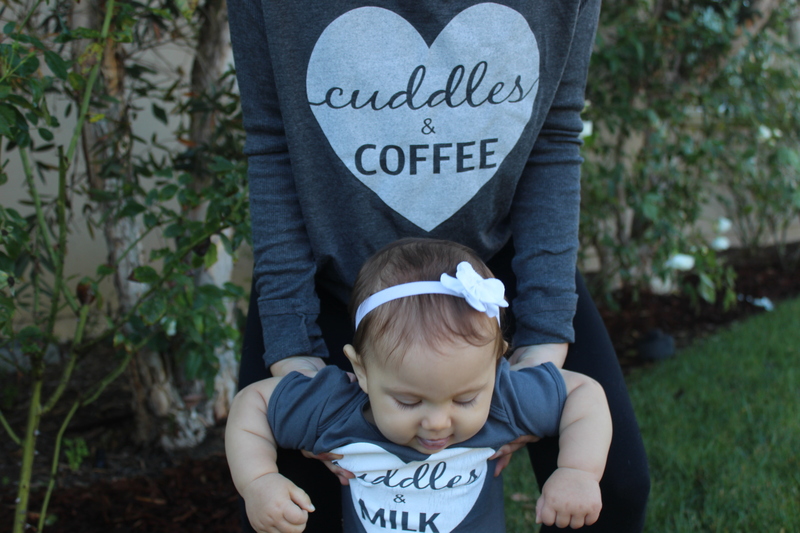 Cuddles & Coffee por Moi and Cuddles & Milk for le bebe! 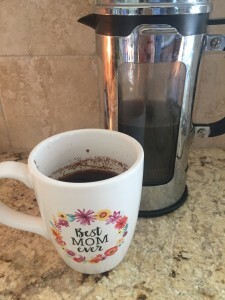 I did make my favorite french press coffee from Hawaii with lots of cinnamon- delicious! 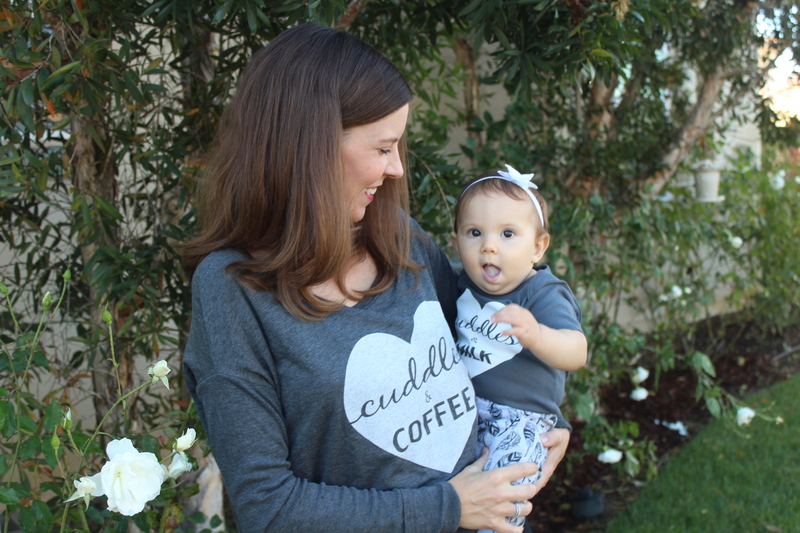 At 10 months old and on the move, it’s nice to have full caffeine again!